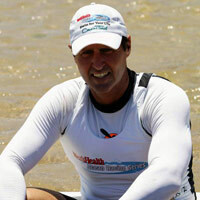 Oceanpaddler owner and founder Dean Gardiner has been Australia’s most successful ocean paddler for nearly two decades. He is regarded as the best downwind paddler by his peers with his reputation backed up by outstanding results. Dean started out in the lifesaving movement in Australia. Competing in surf ski races and dabbling in some of the ironman events, he soon got bored of the endless hours on the beach waiting for an event to come around. With outstanding results behind him, in 1996 Dean decided to walk away from the shorter lifesaving races and started putting all his paddling energy into the distance events. From his first Molokai in 1999 Dean has taken part in every race since and has held the record for the race since 1994 lowering it again to its current time in 1997. Dean along with Lewis Laughlin and Grant Kenny are the only men to have won both surf ski and outrigger Molokai’s with Dean the only one to have won both in the same year. Dean won the inaugural surf ski world cup in Cape Town in 2004 which set the bench mark for the current World Series. Deans other achievements include wins in Tahiti, USA, Avon Descent, New Zealand, and just about everywhere else a distance surf ski race has been held. 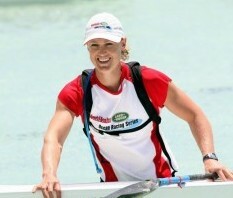 In 2002 Dean introduced ocean paddling to Australia through the hugely successful ocean racing series. The growth of the sport in Australia has largely been attributed to the hard work and financial investment that Dean has put into the sport. Dean is regarded as one of the pioneers of ocean paddling and along with a couple of others are largely responsible the growth of the sport and where it is today. Yanda has represented Australia at 2 Olympics Games, Atlanta 1996 and Sydney 2000 in the K4 Sprint Kayaking and numerous world championships. Following her retirement from Olympic competition Yanda turned to Ocean racing where her passion now lies. Yanda is a Level 1 Kayak Coach and accredited Personal Trainer, specialising in technical coaching for all paddling disciplines.